The task of synthesising convergence of several propositions to visualise the sum event spread out on space and time is more challenging than what most modern historians have so far been capable of. 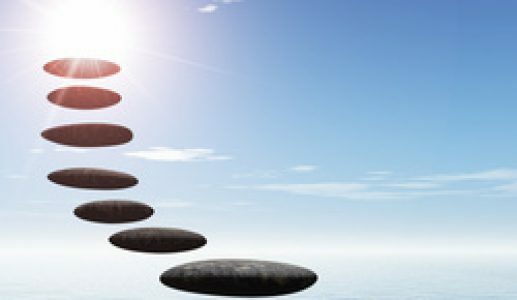 I have been adapting the studies and conclusions of exceptional minds on this blog, for the love of truth. The Mahabharata is an encyclopaedia of early Indian culture and history, including the Sindhu-Sarasvati (SS) tradition. For example, the Mahabharata and the Puranas call Visnu and Siva by the name Ekasrnga, the “onehorned one,” or the unicorn, which is one of the most striking images from the mature phase of the SS Tradition. The Santi-Parva (chapter 343) of the Mahabharata speaks of the one-tusked boar (Varaha) who saves the earth as Visnu’s incarnation. Here Varaha is described as being triple-humped, a figure that we see in the Harappan iconography. There is other continuity of motif and style between the SS Tradition and the classical Indian culture. Geologists tell us that the river Sutudri braided into several channels after its course changed from being a tributary of the Sarasvati to that of the Sindhu. The Epic remembers this in the legend that sage Vasistha wanted to kill himself by jumping into the Haimavati, but the river saved him by breaking up into a hundred shallow channels, hence its ancient name Satadru (Caitraratha Parva, chapter 179). 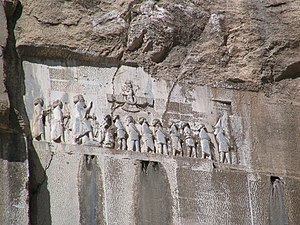 This is example of an event in the Epic that occurred in the 4th or the 3rd millennium BC. The change in the focus of the civilization from the Sarasvati river to the Ganga is not only implicit in the Puranic story of the descent of Ganga but also in the statement in the Mahabharata (Vana Parva, chapter 85) that in the Treta Puskara was the holiest tirtha, in Dvapara it was Kurukshetra, and in the Kaliyuga it is Prayaga. The Mahabharata telescopes early genealogical history. The Puranic king-lists provide useful clues to the sequence of events. Some of the main events are: Generation 45, Bhagiratha, Ganga changes course; Generation 65, Rama Dasarathi, Dvapara begins; Generation 94, Mahabharata War. Given that the Mahabharata War took place several centuries before the Buddha, it is clear that even if we allocate only 20 years to each generation, the Puranic king-lists reach back into the early phases of the SS Tradition. The astronomical references in the Vedic texts reach back to the 4th and 5th millennia BC. 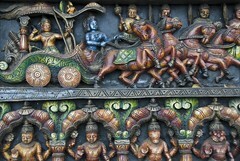 The Mahabharata, in turn, describes events that belong to the earliest layers of the Vedic lore. For example, there is much material in the Adi Parva on Yayati, one of the first kings in the Puranic lists. There is also description of the westward emigration of Aryan tribes through the device of Yayati expelling his sons. Such emigration stories are part of the Rgvedic narrative. The Greek historians inform us that the Indians during the time of the Mauryas remembered more than 150 generations of kings spanning over 6,000 years. (We assume that these lists remember the prominent kings only.) The earliest calendar in India was centennial, with a cycle of 2,700 years. Called the Saptarsi calendar, it is still in use in several parts of India. Its current beginning is taken to be 3076 BC. Notices by the Greek historians Pliny and Arrian suggest that, during the Mauryan times, the calendar used in India began in 6676 BC. It is very likely that this was the Saptarsi calendar with a beginning of 6676 BC. The Early Agriculture Economy Era (ca. 8000-5500 BC) witnessed the beginnings and maturation of the early agriculture economy. In the Regional Growth Era, (5500-2600 BC) we see regional styles and different phases of evolution. 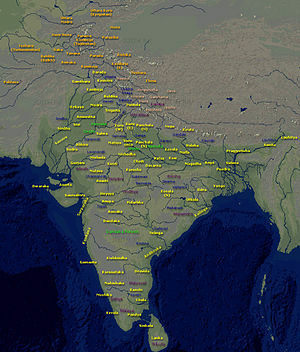 Although uniformity begins to emerge in 2800 BC (or a couple of centuries earlier), the Harappan state with numerous cities and towns emerges in the Integration Era (2600-1900 BC). The uniformity is seen in the writing, system of weights and styles of pottery. The uniformity across a very wide area emphasizes social classes and considerable trade. In the Localization Era (1900-1300 BC) we witness unbroken continuity in several cultural expressions but we don’t see writing and the use of standardized weights. Evidently, this was a consequence of a breakdown of long distance trade. By the end of this Era, a new integration is seen in a geographical area across the entire north Indian plains. If one juxtaposes these phases with the events of the Mahabharata Epic, it appears that at the end of the War the region changed from a period of several isolated, independent kingdoms to that of a larger state. The unification created at the end might have provided the climate in which epic poetry was patronized by the king. This idea supports the view that the growth of the Epic from its original form took place during the transition to the Integration Era or perhaps at the end of the Localization Era. Let’s consider the epoch for the Mahabharata War. By popular tradition, the Kali Age started with the death of Krishna, 35 years after the War. The Kali calendar has a beginning of 3102 BC, therefore it is thought that the Mahabharata War took place in 3137 BC. The Kali age is supposed to have begun with a grand planetary conjunction. The first mention of the Kali calendar is by the astronomer Aryabhata in his treatise on astronomy with an internal date of 500 AD. The earliest epigraphical reference is in the 5th Century inscription of King Devasena where it is alluded to indirectly, and in the Aihole inscription of 3735 Kali (634 AD). Because of these late references, some scholars have suggested that the Kali calendar was started at a late period with an assumed conjunction at the beginning of the era for convenience of calculations, and, therefore, the Aihole inscription cannot be taken as proof of the date of the War. 1. The date of around 1000 BC. This is the date popularized by Western Indologists as being most “reasonable” based on archaeological data. Repeated in numerous school texts, it has achieved a certain kind of canonicity. This date was first proposed within the framework of the Aryan invasion theory. Although that theory has been discredited, this date has taken independent life of its own. 2. The date of 1924 BC. Based on Puranic genealogies that see a gap of 1000 years or so between the War and the rule of the Nandas (424 BC) we get the date of 1424 BC. But Pargiter, while editing these accounts from the various Puranas, suggested that the original number was 1,500 which was wrongly copied in various texts as 1000, 1015, or 1050. Accepting the arguments, therefore, we consider the Puranic tradition to support the date of 1924 BC. Furthermore, the date of 1424 BC sits in the middle of an obscure period, and it is hard to see how the events of that age would not have left markers in the archaeological record. 3. The date of 2449 BC. This is based on a statement by Varahamihira in 505 AD in chapter 13 of the Brihat Samhita, where it is claimed that the commencement of the Saka era took place 2,526 years after the rule of the king Yudhisthira. If the Saka era meant here is the Salivahana era (78 AD), then the date follows. Some scholars have suggested that this Saka era refers to the one started by an earlier Saka king in Central Asia and that this date is not at variance with the Kali date of Aryabhata. 4. The date of 3137 BC. The traditional value, mentioned by Aryabhata and in the Aihole inscription of 634 AD. Let us examine these three different dates while considering the evidence from the Mahabharata, the Puranas, archaeology and astronomy. 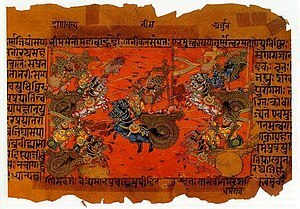 Is the Mahabharata epic — the text of 100,000 verses — which is a source for the events of the War to be taken as history? The epic itself claims to have been originally just 8,800 verses composed by Krsna Dvaipayana Vyasa and called the Jaya. 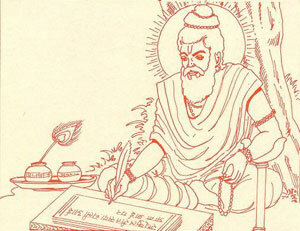 Later, it became 24,000 verses, called the Bharata, when it was recited by Vaisampayana. Finally, it was recited as the 100,000 versed epic (the Mahabharata) by Ugrasravas, the son of Lomaharsana. Thus the tradition acknowledges that the Mahabharata grew in stages. The core of the story is very ancient and there is astronomical evidence in it related to the Asvamedha rite that indicates a period before the 3rd millennium BC. The details of the final version may very well include episodes that are poetic exaggerations or imagined material. We see such poetic imagination at work by comparing the Ramayanas of Valmiki and Tulasidas. We may also compare the story of Radha, who does not appear in the Mahabharata or the Bhagavata Purana, who has become a part of the Krsna legend due to later texts. Many of the characters of the Mahabharata are mentioned in the Vedic texts that, on account of being considered sacred, have not suffered interpolations and should thus represent historical persons. Krsna, for example, is mentioned in the Chandogya Upanisad. Other names occurring elsewhere include Vicitravirya, Santanu, Dhrtarastra, Janamejaya, and Pariksit. Due to its expansion over several centuries, the Epic includes late material. This means that dating the events of the Epic based on archaeological finds could be misleading. Some scholars have correlated the painted grey ware (PGW) pottery of the period of 1100-900 BC found in Hastinapur (modern Hathipur) to the Kauravas. But there is no basis for such correlation. The Kurukshetra site itself has structures that go back to about 3000 BC. Panini’s grammar (c. 400 BC) knows the Mahabharata. In the sutra 6.2.38, it mentions both the Bharata and the Mahabharata. Also, the Epic, in its long descriptions of the religions of the day, describes the Vedic, Sankhya, Yoga, Pasupata, and the Bhagavata traditions. There is no mention of Buddhism, so we can be certain that it was substantially complete prior to 400 or 500 BC. The language of the Epic does not always follow Paninian constructions which also indicates that it is prior to 500 BC. Even the political life described in the Mahabharata does not correspond to the imperial ages of 400 BC – 400 AD that has sometimes been assigned to it in the West. Cattle raids occur prominently in it, not imperial conquest. There is no reference to the Sisunaga kings, the Nandas, the Mauryas, or the Sungas. On the other hand, the Buddhist Jatakas, that were written during the times of these dynasties, are aware of the characters of the Epic. One Jataka, for example, speaks disparagingly of Draupadi for having four husbands. Dion Chrysostom, Greek Sophist (40-105 AD) mentions that the Indians possess an Iliad of 100,000 verses. Together with its appendix, the Harivamsa, the Epic does add up to this total. 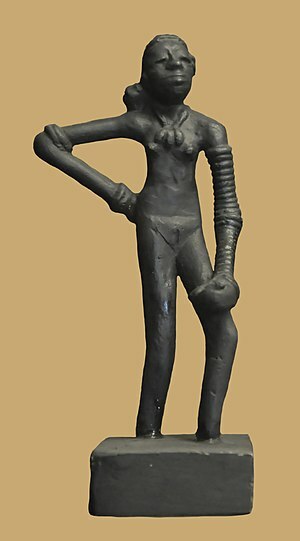 Recent archaeological discoveries indicate that the Sarasvati river dried up around 1900 BC, leading to the collapse of the Harappan civilization that was principally located in the Sarasvati region (accounting for about 70 percent of all the Harappan sites). The Rigveda celebrates the Sarasvati as the greatest river of its day, going from the mountains to the sea (giribhya asamudrat in RV 7.95.2). There are two schools of thought related to the drying up of the Sarasvati river. According to the first one, the Sarasvati ceased to be a seagoing river about 3000 BC, explaining why the 3rd millennium settlements on the banks of the Sarasvati river end in the Bahawalpur region of the Punjab and do not reach the sea; there was a further shrinking of the river in about 1900 BC due to an earthquake that made its two principal tributaries to be captured by the Sindhu and the Ganga river systems. According to the second view, the Sarasvati flowed to the sea until 1900 BC when it dried up. The first view explains the geographical situation related to the Harappan sites more convincingly. Given the understanding of the drying up of Sarasvati, with its preeminent status during the Rigvedic times, it follows that the Rigvedic hymns are generally anterior to 1900 BC. If one accepts the theory that the Sarasvati stopped reaching the sea in 3000 BC, then the Rigvedic hymns are prior to 3000 BC. If the tradition that Vyasa was the arranger of the Vedas is correct, the latter explanation would mean that the Mahabharata War could indeed have occurred in 3137 BC. The Puranic lists come down to the 4th or the 5th century AD and they are quite accurate in their details for the post-Mauryan period for which independent inscriptional evidence is available. One would expect that they would be accurate for the period prior to the Mauryas also. The regnal years are given in the Puranas only for the post-War kings. One may question the reliability of the earlier parts of this list since the average span of reign for the pre-Nanda kings is more than twice as much for the post-Nanda ones. The explanation appears to be that it was during the imperial Maurya age that comprehensive king-lists were made and, consequently, only the better-known names of the earlier period were included. The centennial counting system, named after the naksatras, made certain that the count of the dynastic totals was accurate. 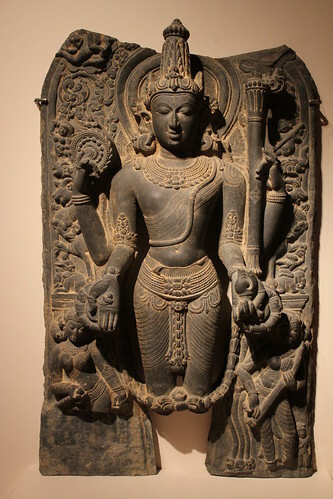 The length of the Brhadratha dynasty may also be questioned. But, it may represent the cumulative sum of several early dynasties. During the pre-Nanda period, the lists also provide for 24 Aiksavakus, 27 Pancalas, 24 kings of Kasi, 28 Haihayas, 32 Kalingas, 25 Asmakas, 36 Kurus, 28 Maithilas, and 23 Surasenas. 5. Mauryas 324-187 BC and so on. It is most significant that the Puranic king-lists imply 1924 BC as the epoch of the Mahabharata War. Since this epoch is virtually identical to the rough date of 1900 BC for the catastrophic drying up of the Sarasvati river, it suggests that the two might be linked if they are not the same. The disruption due to the earthquake may have been a contributing factor to the Mahabharata War, or the War could have served as a metaphor for the geological catastrophe. Around 500 CE, a major review of the Indian calendar was attempted. The astronomers Aryabhata, Varahamihira and others used the naksatra references that the Saptarsi were in Magha at the time of the Mahabharata war to determine its epoch. Aryabhata declared the war to have occurred in 3137 BC, and Varahamihira assigned it 2449 BC. This discrepancy arose perhaps from the different assumpptions regarding the naksatras (27 or 28) in the calculations of the two astronomers. It is likely that the fame of the Kaliyuga era with its beginning assigned to 3102 BCE prompted a change in the beginning of the Saptarshi era to about the same time, that is to 3076 BC. The Puranic memory of the Mahabharata war having occurred in 1924 BC may represent the transference of a much earlier event to the cataclysmic event at the end of the Harappan period. The memory of the War in popular imagination may represent the conflation of two different actual events. The date of 1000 BC or so is just not possible because it is at variance with the astronomical facts related to the period. Furthermore, it is at variance with the Puranic genealogies which, we know, are quite accurate in the post-Mauryan period and are likely to have been accurate earlier as well. Then there are various remembered lines of teachers that show up in various texts. Specifically, the Brhadaranyaka Upanisad remembers a line of 60 teachers. We don’t know how many years should be assigned to each teacher but this line could span substantially more than a thousand years. Given that this Upanishad is about 800-600 BC in the most conservative reckoning, this long list makes it impossible for the Rigvedic period to end in 1000 BC, as required by the War in that epoch. This leaves us with the dates of 1924 BC and 3137 BC. I don’t think we have evidence at this time to pick one of these two as the more likely one. If one gives credence to the Puranic genealogies, then 1924 BC would be the time for the War; if, on the other hand, we go by the astronomical evidence related to the Vedas and the subsequent literature, then 3137 BC remains a plausible date. If the pre-Nanda Puranic lists are not accurate for the regnal periods, then the War will have occurred a few centuries later than 1924 BC. Mahabharata mentions that of the five descendents of Yayati, two became Yavanas and the Mlecchas. This seems to remember a westward emigration. This particular migration may have occurred in a very early period in the Vedic world that spanned Jambudvipa and the trans-Himalayan region of Uttara Kuru. We have a later evidence for another westward movement to the lands ranging from Babylonia to Turkey. populated region of the ancient world. Proclaims Xerxes the King : When I became king, there is among these countries one which was in rebellion. Afterwards Ahuramazda bore me aid. By the favor of Ahuramazda I smote that country and put it down in its place. And among these countries there was a place where previously daiva were worshiped. Afterwards, by the favor of Ahuramazda I destroyed that sanctuary of daiva, and I made proclamation: ‘The daiva shall not be worshiped!’ Where previously the daiva were worshiped, there I worshiped Ahuramazda at the proper time and in the proper manner. And there was other business that had been done ill. That I made good. That which I did, all did by the favor of Ahuramazda. Ahuramazda bore me aid until I completed the work. References within them to astronomical configurations that can be dated. The River Saraswati that originated at the Har-Ki-Dun glacier, or rather its drying up, is fairly accurately dated now. Due to extreme tectonic events, its major tributaries Yamuna and Satluj changed course towards Ganga and Indus respectively. This reduced the flow of the river and it finally disappeared from the surface of the earth. Geologists and archelogists reckon that the event happened in 1900 BC. But they also point out that the drying up process took place over a couple of millenia : the River Saraswati flowed in it’s full grandeur till 3000 BC, when geological events reduced its flow, but the river survived untill the century in which it finally dried up. III After 1900 BC, when the river completely dried up. 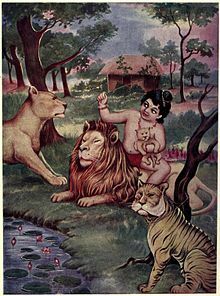 The Ramayana narrative places Bharat at his maternal uncle’s palace in Kekaya, in Punjab, when his father Dashrath passed away. The epic mentions that, while coming back, Bharat had to cross the River Saraswati. The descriptions uncannily reminds us of pre-Harappa and early river valley cultural spread in Greater Punjab region, about the upper reaches of Indus River, much of which is actually found in the excavated ruins of those remarkably well-designed cities. The country is beautiful even today. In Mahabharata we find references, during Balaram’s pilgrimage that began just before the start of The Great War, to the River Saraswati as having reduced flow. The Mahabharata War is dated around 3100 BC from Puranic and astronomical sources, and that corresponds well with the second phase of the River we have specified above. The statement is perhaps a direct reference to how availability of water declined over the millenia, starting with the era when it was plentiful all over their settlements along the southern course of Sarasvati. At the end of Treta Yug (5000 BC), the region had gone dry and people seem to have moved more north-east, to the area around the Pushkar Lake. Dwapara (5000 BC to 3000 BC) saw people migrate to Kurukshetra in Haryana, where Sarasvati and one of its tributary Dhrisadwati still flowed. Thereafter, in Kali Yug, even this northern remnant of Saraswati and its eastern tributary dried up. The later Vedic people settled along the River Ganga and came to depend solely on its life-giving waters. There is a passage in Ramayana too that mentions Rama being engaged in “forming” the wet region named Pushkara, presumably by creating a fresh water source there, in the midst of a desert (Maru-kantara) that lay to the north of Lavana-sagara, the saltwater-sea. The verses below describes a terrible drought, as informed by Sage Vishwamitra. Mbh.12.206 : “Towards the end of Treta and beginning of Dwapara, a frightful drought occurred, extending over twelve years. There was no rain. The planet Vrihaspati (Jupiter) was retrograde and the Moon was at its southernmost point. Not a dew-drop could be seen, what to speak of clouds gathering ? The rivers shrank to being mere narrow streamlets. Everywhere the lakes, wells and springs had gone dry. “With life having become impossible, the charitable outlets became desolate and dysfunctional. The Brahmanas abstained from sacrifices and stopped reciting the Vedas. They no longer uttered Vashats nor performed other propitiatory rites. Agriculture and cattle-keeping were given up. Markets and shops were abandoned. Stakes for tethering sacrificial animals disappeared… All festivals and recreational occasions came to be unheard of. All over, heaps of bones were visible; and every place resounded with the shrill cries and yells of fierce creatures. The cities and towns of earth became ghost towns. It is likely that such drought and famine visited the land a number of times … until it turned arid and into a desert. Mbh.9.49 too mentions a twelve year drought, when Vedic traditions were disrupted. Sage Saraswata is said to have revived the Vedic practice by teaching the Vedas to Brahmanas, who had lost the knowledge through their constant migrations. Considering how they validate other historical sources, and vice versa, the Indian epics most certainly do not seem to be a work of mere fiction; they are a valid source of Indian and world history.